BLS Youth CAN is building a coalition with some of the many schools in the Fenway area. 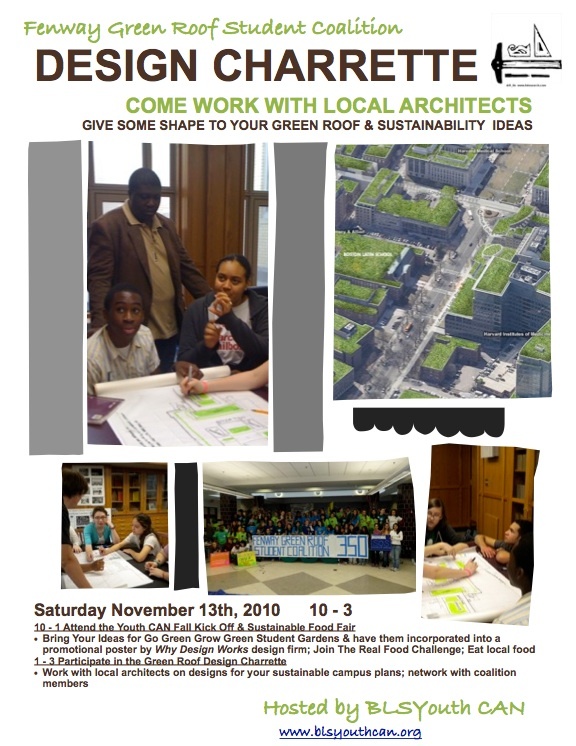 This idea occurred to us when deciding to build a green roof at Boston Latin School. It became clear to us that by joining with other local green student groups, not only could an even greater environmental impact be made in the Fenway/Longwood area, but that it will also make it easier for each of our individual groups within the coalition to pursue green projects. There will be greater support and enthusiasm for projects that are part of a larger initiative, with many schools joined together in their efforts to combat climate change. 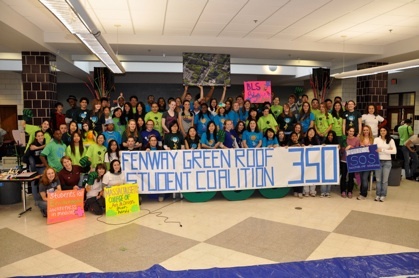 If each youth or student group at a school in the Fenway/Longwood neighborhood gets a green roof for their institution, the Fenway Green Roof Student Coalition will lead the way to the first green roof enclave in Boston. Having a large area like ours with green roofs will significantly improve air quality, reduce CO2 and storm runoff, and offer lasting opportunities to demonstrate the value of place-based, inquiry-based service learning. Our green roof enclave will serve to inspire other similar projects in the city as well as highlight the critical importance of educating for sustainability, offering concrete guidelines for how such teaching can be incorporated into existing curriculum. We will make relevant curriculum available on our “For Educators Page” of the Youth CAN website. 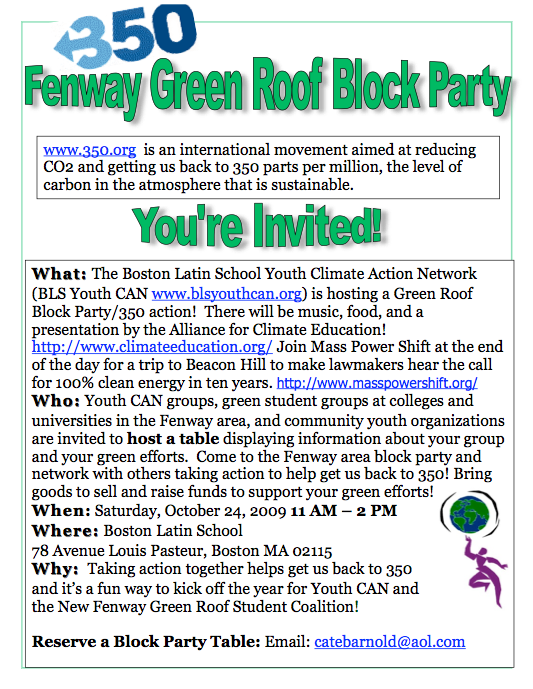 Youth CAN is hosting a Green Roof Neighborhood block party on Saturday October 24th from 11:00 - 2:00 at Boston Latin School (next to Simmons) in conjunction with the national 350 day of Action aimed at reducing the level of carbon in the atmosphere from its current level of 387 back to a more sustainable level of 350 (www.350.org). Green roofs are a great way to reduce CO2!